Today everything is instrumented, generating more and more time-series data streams that need to be monitored and analyzed. When it comes to storing this data, many developers start with some well-trusted system like PostgreSQL. But when their data hits a certain scale, they often give up its query power and ecosystem by migrating to some NoSQL or other "modern" time-series architecture. In this talk, I describe why this perceived trade-off isn't necessary, and how we've built an efficient, scalable time-series database engineered up from PostgreSQL. In particular, the nature of time-series workloads one finds in devops, monitoring, IoT, finance, and elsewhere -- inserting new data about recent events -- presents very different demands than general transactional (OLTP) workloads. We've architected our time-series database to take advantage of and embrace these differences. The system architecture automatically partitions data across both time and space, even though it exposes the illusion of a single continuous table -- a hypertable -- across all of your data spread across one or many servers. Its distributed query optimizations both hide the fact that users are interacting with many "chunks" of data, which are right-sized by volume and time constraints, and minimize which and how chunks are accessed to answer queries. In fact, the database supports "full SQL" against this hypertable (e.g., secondary indexes, rich query predicates and group bys, aggregations, windowing functions, upserts, CTEs, JOINs). Through performance benchmarks, I show how the database scales much better than PostgreSQL, even on a single node. In particular, it avoids the "performance cliff" that vanilla PostgreSQL experiences at 10s of millions of rows, while maintaining robust performance past 100B rows. The database is implemented as a PostgreSQL extension, released under the Apache 2 license. 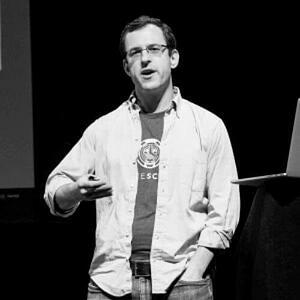 Mike Freedman is a Full Professor of Computer Science at Princeton University, as well as the co-founder / CTO of TimescaleDB.Mike's research focus is on distributed systems, storage, networking, and security. He received his Ph.D. in computer science from NYU, half of which was spent at Stanford, and his S.B. and M.Eng. degrees from MIT.